Introduction. 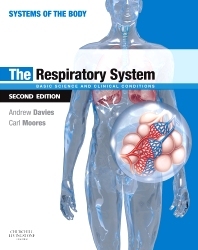 Structure of the respiratory system. Elastic properties of the respiratory system. Airflow in the respiratory system. Ventilation in the respiratory system. Gas exchange between air and blood: diffusion. The pulmonary circulation: bringing blood and gas together. Carriage of gases by blood and acid/base balance. Chemical control of breathing. Nervous control of breathing. Lung function tests.